This post was sponsored by Rimmel London through their partnership with POPSUGAR Select. 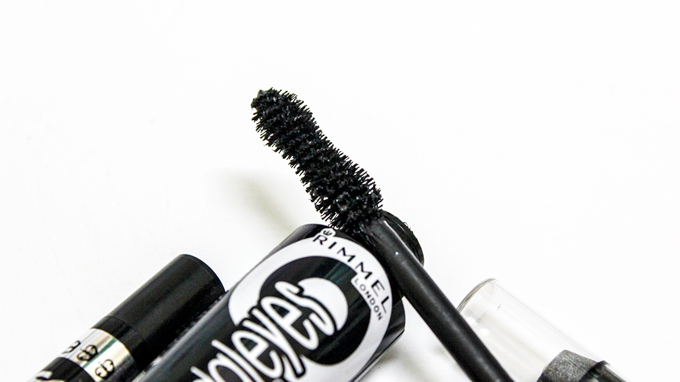 While I was compensated to write a post about Rimmel London, all opinions are my own. Hi everyone! Welcome back! 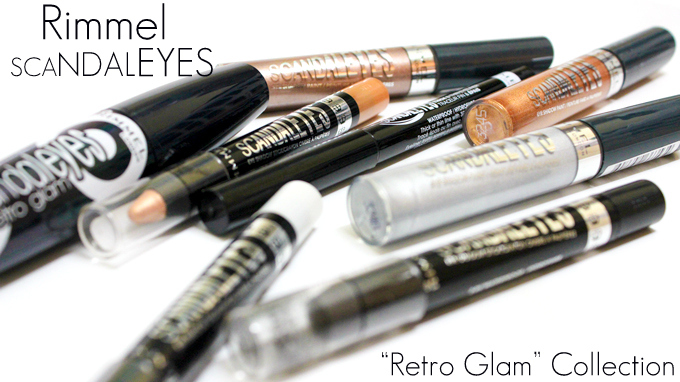 Today I'm sharing an exciting makeup look using products from Rimmel London's ScandalEYES "Retro Glam" collection. This has been a much loved collection by me ever since it released. I LOVE their liners and mascaras. It's great to see some new products being added into the mix. 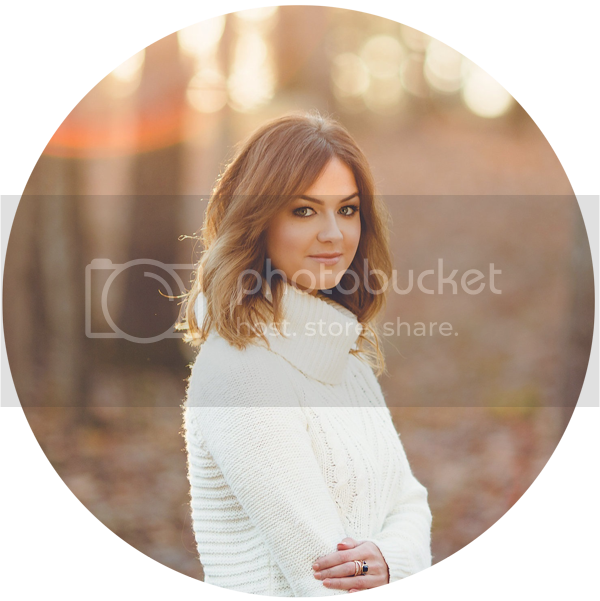 I had such a blast creating this modern retro look! Winged liner and bold lashes are such huge trends now. You'll find lots of great products within this collection to help you achieve that perfect "modern retro" look! 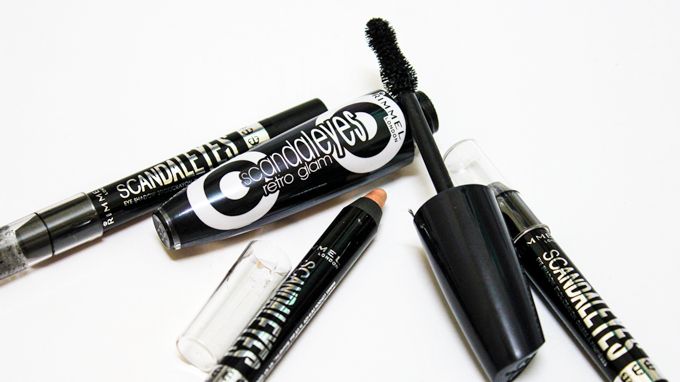 Rimmel has incorporated products into their new collection to fit these timeless retro trends! I'm always drawn to fun and quirky packaging when I browse the makeup sections. You can expect to find fun psychedelic packaging that embodies the "mod" era while browsing the "Retro Glam" collection. 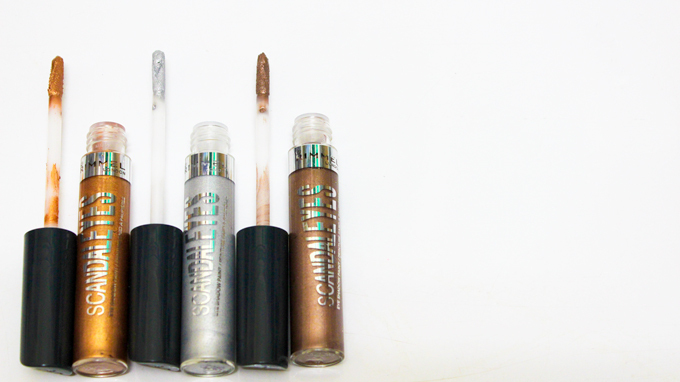 L to R: Rimmel Shadow Paints "Golden Bronze", "Mercury Silver", "Rich Russet"
The Rimmel shadow paints create an awesome metallic sheen to the lids. I love using them as bases for powder shadows as well. They blend effortlessly into the lids for a soft shine. L to R: Rimmel Shadow Stick "Blackmail", ScandalEYES Retro Glam Mascara "Extreme Black", Shadow Stick "Bulletproof Beige", Shadow Stick "Hydrofuge"
I'm such a huge fan of the Rimmel Shadow Sticks. I remember finding them and scooping them up at first sight. The application is so creamy and they make for a great one shadow look! The ScandalEYES Retro Glam mascara has a unique hourglass shaped brush which fans lashes upward for extreme length and volume. 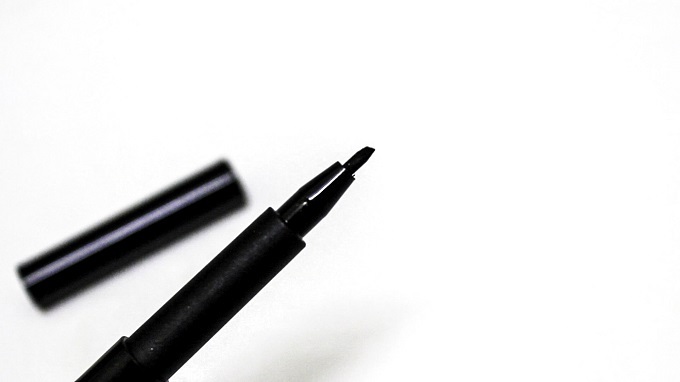 Scandal Eyes "Thick and Thin Eye Liner"
To create an intense winged liner, I use the "Thick and Thin" liner which has a dual ended tip that allows for a super fine application or medium to thick application. It also has a nice gripper on it so you can easily control your desired line or shape. I went for a classic dramatic winged liner. I threw a little twist on it by extending the liner out past my inner corner for an elongated effect. Defined creases were always a big trend during the mod era as well, I kept that tradition alive by intensifying the crease but giving it more of a diffused finish. good Websites around the net. You, the contemporary multimedia buyer, official link to kodidownloadapp perform only about anything you’d wish your Tv set to Kodi Free nice. good team is additionally preparing to add more imo for windows computers however the Desktop version best.